Have you scheduled your REQUIRED risk analysis for 2017? Risk analysis involves identifying probable threats to an IT system and organization and analyzing the related vulnerabilities to these threats. 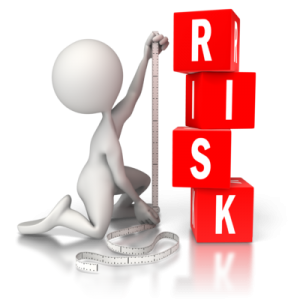 Risk assessment is used to determine the extent of the potential threat and the risk associated with an IT system to the organization. The output of this process helps to identify appropriate controls for reducing or eliminating risk during the risk mitigation process. In the new Audit Protocols published by the Office for Civil Rights (OCR) in a April 2016 found at http://www.hhs.gov/hipaa/for-professionals/compliance-enforcement/audit/protocol/ has a section about HIPAA Security risk analysis and assessment. Basically, if you have Patient Health Information (PHI, or ePHI) then you need to protect it. It’s as simple as that. You need to know how to protect it and what the requirements are. Does the entity have policies and procedures in place to conduct an accurate and thorough assessment of the potential risks and vulnerabilities to the confidentiality, integrity, and availability of all the electronic protected health information (ePHI) it creates, receives, maintains, or transmits? Inventory of all your organization’s systems and tools, such as tablets, laptop, and clinical tools connected to your organization’s network that create, maintain or transmit ePHI. Cytek can assist your organization with performing a HIPAA Risk Assessment and easily organize all what you need to pass such an audit. Cytek Safeguard™ a cloud portal that provides you and your staff everything you needs to become compliant and pass audits. Don’t leave your organization subject to fines and negative publicity associated with a privacy breach, or other missteps in today’s elevated focus on HIPAA at the OCR.